We are very excited to welcome belVita Breakfast Biscuits as the second Scoop Supporter for 2013. Scoop supporters are brands that eat, drink or think just like us and help us grow our Sub of the Month mentoring program for dietitians. Now, we all know breakfast is the most important meal of the day….yadda yadda….but what about the idea of biscuits at breakfast? At first I was skeptical. So our new Scoop Intern, Camilla Ferraro APD2be, and I headed out to research. And we bet you’ll be surprised at what we uncovered. I am in love with Italy and hold amazing memories of my Summer trips to Tuscany, Roma and beyond. And as Camilla is Italian descent (need I really have asked with that surname?) we headed to a local mega-Italian produce store. And just like a typical supermarket, there is an aisle just for breakfast. But lo and behold, no cereal box in sight. Instead it’s all about biscotti, cornettos and dried bread crackers. Camilla’s nonna crumbles biscuits into her morning coffee and the staff passionately told us about breakfast the European way. According to Research International eating biscuits for breakfast is a traditional habit in Southern Europe with 74% of biscuit consumption in Italy being at the breakfast meal. In fact biscuits are mentioned as an example of a suitable cereal-based food in official Spanish dietary guideline recommendations. Looking at negative nutrients, a pack of four belVita biscuits has only 150mg sodium, 1.9g saturated fat and around 10g of sugar, which is about 2 teaspoons (the same as my kids add to wholegrain cereal with honey, brown sugar or dried fruit). Camilla and I had fun designing and styling this train stop option for her busy Uni mornings with nut butter and apples slices. Oh my. And on the days I’m not mindfully eating my slow-cooked oats and stewed rhubarb, on the deck for the daily vitamin D, I think this ricotta combo with the new Cranberry belVita, plus coffee (of course) is a scrumptious winner. There are 5 flavours in the range to mix and match: including new Cranberry variant, Honey & Nut with choc chip, Milk & Cereals, Crunchy Oats, and Fruit & Fibre. So how about you lovely readers? Regrettably not everyone has the healthy habit like you and me. Do you agree that we need creative solutions to bring back breakfast for so many skippers? Has the breakfast landscape changed for members of your family? What other smart solutions or tips are there for skippers? How do you break your fast? Fantastic post as always Em! And welcome to the new Scoop Intern Camilla. I am a fellow dietetics student although not for long, this being my last year 🙂 I must say those Belvita biscuits with nut butter and apple look incredible, so on my busy mornings I shall give that a shot! Thanks Steph – it’s really a good example of having to challenge our perceptions and assess a product properly. Well I was skeptical at first but this post well and truly won me over! The nut butter and apple version is going to be replicated very soon. Yes what is it with dietitians and nut butter! Oh yes… breakfast-on-the-go is almost a necessity some days. It’s so tempting to skip it entirely, surviving on coffee (or diet coke in my case) which means we’re ravenous by morning tea and tempted by unhealthy goodies. I love the post and particularly your breakfast and snacking suggestions. Ingenious! 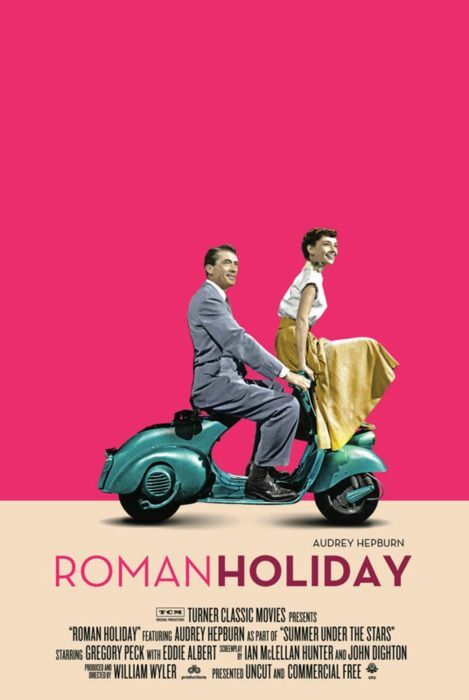 Tiramisu is also a favoured Italian breakfast – it has my vote 😉 & I adore Roman Holiday. Favourite movie. Why did I know you’d say that! I heart Belvita’s. My mum is not the best at eating breakfast. I LOVE a good bowl of rolled oats for breakfast. So much so that Ecco and a sweet biscuit has been her breakfast of choice. Clearly cookies hit the spot for a lot of people. So I formulated a wholegrain biscuit recipe for her, which she loves. But it is a bit of a hassle when you are time poor. That said she usually makes it on a Sunday, which never lasts the week as they go so fast. Enter Belvita. At first I was a bit dubious on the nutritional content on anything processed, especially a cookie. But as you pointed out, they are actually pretty good. Now mum has the fig Belvita’s or my cookies, a tub of low fat greek yoghurt and a fruit. The whole fruit and yoghurt thing has even gotten her interested in yoghurt and muesli on occasion. Breakfast is an important start to the day. And moving off from sweet biscuits and a hot drink to something more substantial with the addition of yoghurt and fruit is a big thumbs up :-).